I hope y'all had a fabulous holiday last week. We had lots of rain, but that's okay. I do love that everything is so green and lush around here. I'm sure soon it will be sunny and hot and we will be asking for the rain to return. There were lots of fabulous links at the party last week. It took me awhile to pick just a few to feature because y'all don't make this easy, but here we go. I just love this cute porch all decked out for summer enjoyment by It All Started With Paint. Southern State of Mind shared her pretty living room without all the child clutter while her little one was away for a few days. Check out this nice bathroom makeover by Let's Add Sprinkles filled with modern and vintage charm. 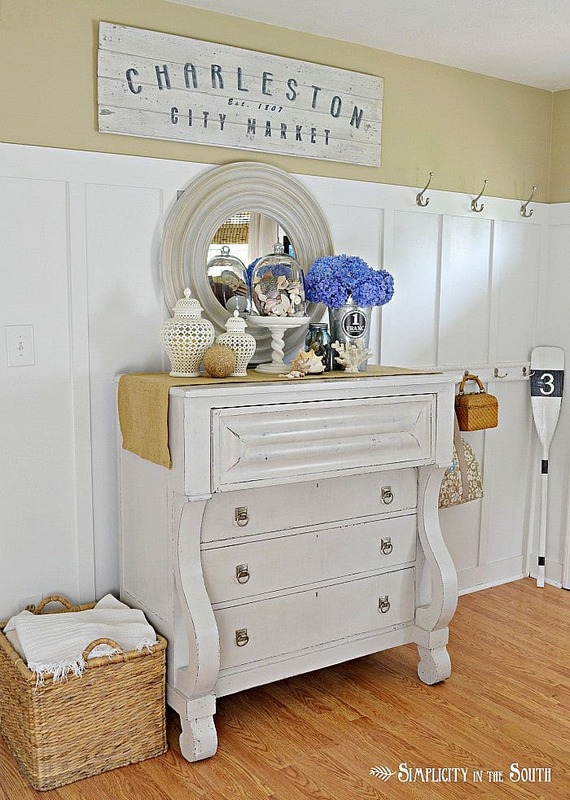 Beautiful summer styling shared by Simplicity in the South. 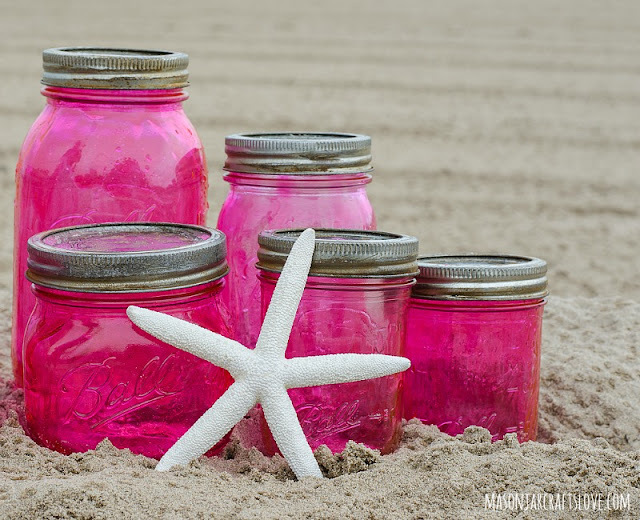 Find out how to make these pink mason jars by Mason Jar Love. You can find step by step instructions on how to make pinch pleated panels by Simply Linen. 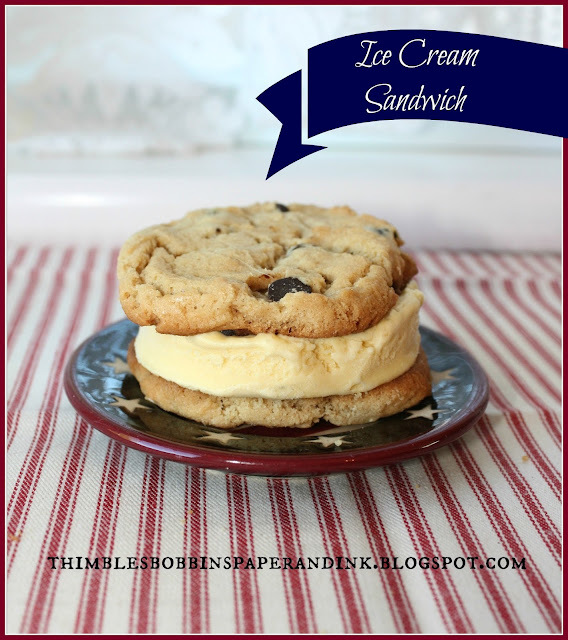 Oh, my these chocolate chip cookie vanilla bean ice cream sandwiches sure look yummy shared by Thimbles Bobbins and Paper. Did you link anything patriotic at the last two wow parties? You may have missed the features I shared last week. You can check them out here. Were you one of the top three featured this morning? Thanks to all who joined last week and now we want to see what you have to "Wow Us With" this week! Thank you for hosting Kim! Love Katie's dreamy bathroom <3 Thank you so much for hosting Kim!So glad to be back and able to join in on the party again! Thank you so much for hosting this week. And a big thank you for showing my trike on your 4th of July post! Great features Kim, thanks for hosting! Wonderful features, Kim! I am in love with that gorgeous bath!!! Thanks so much for hosting! Really beautiful features Kim, thanks for hosting. Great features Kim...from Linda's great porch to the yummy Ice cream sandwich! Thanks for hosting! Thanks so much for hosting Kim - it's such a great party filled to the brim with incredible things! Thanks for hosting, Kim! Hope you have a great week! Thank you for hosting each week, Kim! Feel free to send that rain down to Texas. We're sweltering down here. :) Hope you have a nice week! that bath makeover is amazing!! just linked up, thanks for having us! Hi Kim, wish I had one of those ice cream sandwiches right now! lol! Thanks for the party. Great features Kim! Thanks so much for hosting WOW! 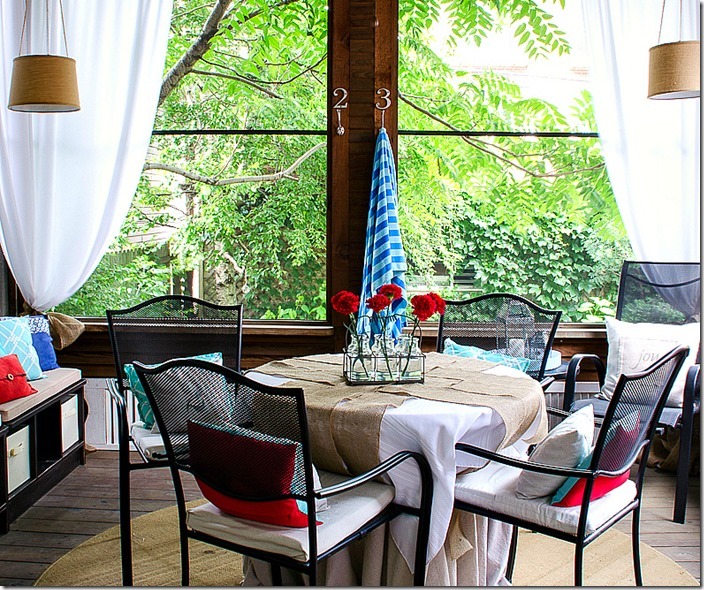 Thank you so much for featuring my screen porch!!! So greatly appreciated ... and I'll enjoy a glass of ice tea and think of you! Kim - thanks so much for hosting and thanks so much for featuring my pink mason jars!!! So greatly appreciated! Thanks so much for the party, Kim! Wow! After being away last week, I have a lot of catching up to do! Thanks for hosting again! Looking forward to seeing what everyone's been up to. Thanks for having the party for us! Thank you for featuring our bathroom makeover! It's always such an honor to be featured on your lovely blog. That ice cream sandwich looks amazing. I will ditto the other Texas ladies. Send us some of your rain! Fantastic features Kim~thanks for hosting! I love those Pink Mason Jars!! :) thanks for hosting! Kim...thank you so much for hosting again this week. Hope you enjoyed a lovely 4th of July. Wishing you a wonderful week! I'm always inspired by all the creativity here. I'm happy to have something to share today. Thank you for hosting all the fun! Lovely features, Kim. Katie's bathroom is gorgeous! Thanks so much for having us! Wonderful features. Thanks for hosting, Kim. hi Kim, looking forward to another great week of links at WUW! Beautiful features and beautiful links in the party! I will be back! Thank you for hosting! Thank you for a great party!! Kim-I just want to thank you again for being so supportive of me being a new blogger and all! This is the first time I'm doing your link party and I'm hoping and praying I'm doing it right??? Thanks again Kim!! Thanks Kim, for hosting the beautiful party! I can't wait to explore. Thanks so much for the wonderful party every week, Kim! Happy Wednesday to you! Be back later to check out the features, right now I have to go find stuff to make those ice cream sandwiches. Wow, what amazing features, can't wait to visit them! I linked a post about turning a roadside TV cabinet + a bookcase my brother made in shop class 50 years ago into an awesome cabinet for my sewing room. Thanks for hostessing the party! Wonderful features! Thanks for hosting Kim. Thanks so much for hosting, Kim! Hope things are finally sunny where you are. 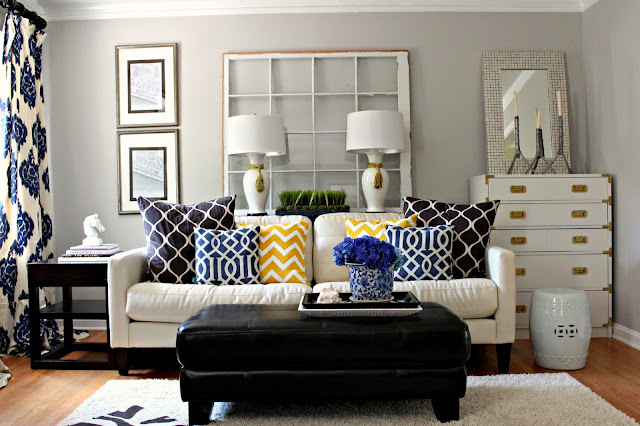 I'm so excited to share my slipcover this week, and my lesson from a Master! Thank you for continuing to host this great way to share. Thanks for hosting! It was fun stopping by! So many great creations to see!! Thanks for the great party Kim. I was leaving a comment yesterday when my grand kids burst through the front door and my on-line time was over! Hey Kim! A stranger here, I know! I hope you are well! Just stopping by to join the party and take in all the beautifulness in blogland!